Ace the Family Medicine Recertification exam with the best ABFM Recertification exam review online. We also offer ABFM Certification Exam Review, Family Medicine CME Online, & an ABFM KSA Modules Review Course. Over 3,000 up-to-date Family Medicine recertification review questions. Ongoing ABFM MOC convenience & utility. Easy to use. Over 360,000 FM practitioners served. Take care of the ABFM recertification exam. Or take care of it all, forever. One-time purchase options include PRO & Library packages for “career ABFM Family Medicine MOC” convenience. Ace the ABFM Recertification Exam with the best Online Family Medicine Recertification Review Course. 100% Pass-guaranteed – with ABFM Family Medicine MOC too! 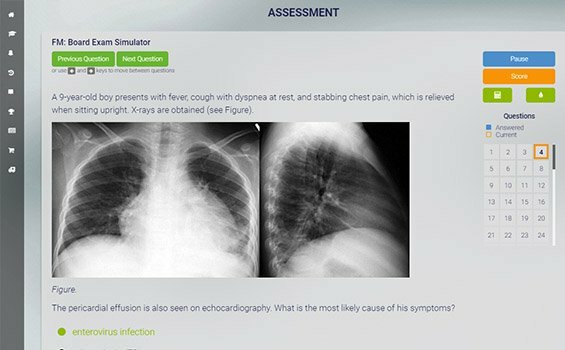 Med-Challenger offers the most exam-focused content and ABFM recertification review questions. Everything you need to know for ABFM exam preparation and current Family Practice. The American Board of Family Medicine requires periodic recertification to maintain Diplomate status. Although certificates are dated for a 7-year period, candidates who meet MC-FP requirements won’t need to sit for their exam until the 9th or 10th year. The ABFM also now offers a November exam for any candidate who is not successful on the April exam, thereby providing Diplomates an additional opportunity to avoid expiration of their Diplomate status. Should a Diplomate not be recertified by the expiration date of their current certificate, for whatever reason, the certificate expires and the physician loses Diplomate status with this Board. The physician may reapply at a future time for the MC-FP process, but must meet all the criteria in effect at that time. To be recertified, each candidate must submit an online application with appropriate fees, verify the completion of 300 credits of acceptable continuing medical education over the past six years, submit evidence of a permanent, unconditional, unrestricted, and unexpired medical license in the state or territory of practice, and pass the cognitive examination. No Diplomate will be permitted to take the cognitive examination until he or she has satisfactorily met all requirements of the MC-FP process. Please note that all Diplomates who recertified in 2003 or later are expected to comply with the Maintenance of Certification Program for Family Physicians (MC-FP). Diplomates will be phased into the program as they certify or recertify. It is important that Diplomates maintain current contact information in their Physician Portfolio. Failure to do so may result in delay of important information about Diplomate status. Satisfy ABFM CME Requirements in a snap. 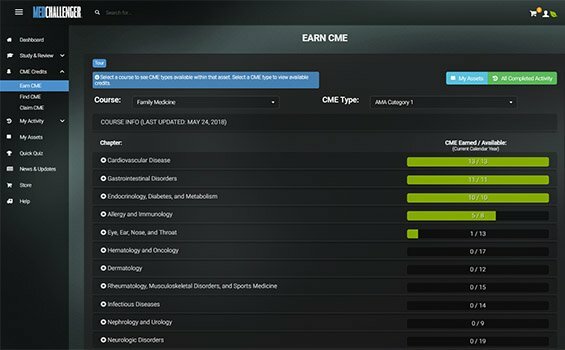 Earn Family Medicine CME online while you study. Knock out requirements fast. Try these Family Medicine Recertification Questions from our Question of the Week blog. A quick look at why Med-Challenger is the best ABFM review choice. No risk. Pass the FM boards, guaranteed. Satisfy ABFM Family Medicine MOC requirements too. 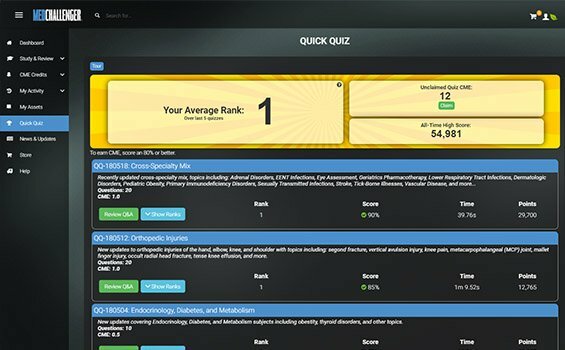 Best Family Practice Board Review Course? Our Family Medicine board review follows the FM Model and the family medicine shelf exam content outline for the American Board of Family Medicine (ABFM) Examination. Proven effective for ABFM certification and AAFP CME requirements, our FM board review follows the exam content outline for the American Board of Family Medicine (ABFM) Examination and FM Model giving you more than 3000 of the best family medicine board review questions with detailed explanations peer-reviewed by practicing FM educators. Intelligent, time-saving adaptive learning and prescriptive remediation produces the best review in the shortest time. Dashboards, custom exams, and other career-minded ABFM MOC utilities are also included. Our proven Family Medicine board review (99.8% pass-rate) follows the FM Model and the exam content outline for the American Board of Family Medicine (ABFM) Examination. 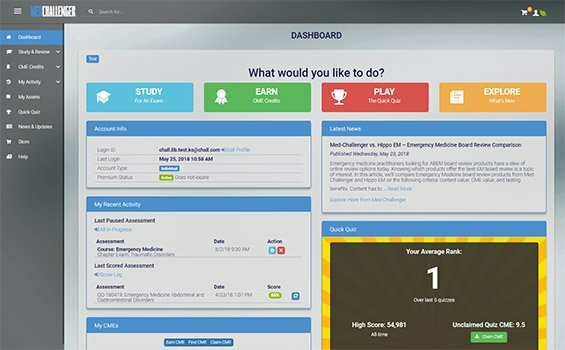 What’s more, with 248 AMA & 248 AAFP Prescribed credits built-in, Med-Challenger’s family medicine question bank gives FM physicians everything needed to ace ABFM exams and fulfill MOC requirements year after year with less time, labor, and worry. Med-Challenger’s Family Practice Board Review offers the best ABFM review options. Join the over 360,000 FM physicians who’ve used Med-Challenger to outperform on exams – and protect their practice. Try it for free today.